Malawi is a country located in south eastern Africa. It is bordered in the North and East by Tanzania, on the east, south and southwest by Mozambique and to the west by Zambia. Lake Malawi is the county's centrepiece known locally as Lake Nyasa. It is a fresh water lake about 1,500 ft above sea level, and is the countries most prominent physical feature. 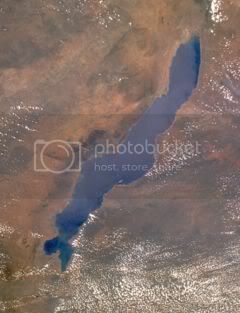 The lake occupies part of the southern end of the Rift Valley system and is to a large extent delimited by faults, particularly to the north and on the eastern coast. Like an inland sea it has endless palm fringed beaches, enclosed by sheer mountains, making it undeniably the focal point for Malawi's tourists. Many Malawian villages are located on the lake shore. The lake serves as an important source of food, providing local fishermen with an abundant source of fish. A most popular dinner in Malawi is chambo (a type of fish) and nsima (a corn or cassava porridge). Lake Malawi bears many qualities of a sea except the salty water and for much of the year it is placid and welcoming, while at other times strong winds and storms can produce surfable waves. It usually rains from November to March and the storms are unpredictable. The air is clean at this time and there is no haze over the lake. The rain prevails in April and May followed by gentle winds and calm water. A section of the lake at Cape Maclear in the south has been declared the world's first freshwater National Park and includes the peninsula of land and several islands. World Wildlife Fund researchers have identified over 500 species of cichlids to date that are not found anywhere else in the world. That is more than all of the freshwater species found in all the waters of both Europe and North America. The Cichlids of Lake Malawi, perhaps even more so than the Cichlids from the other two rift lakes, are brightly coloured and patterned. For this reason, they have proved to be extremely popular with aquarists all over the world. Among these popular Cichlids are the Mbuna and the Haps. The “Mbuna” (i.e., rock-dwelling fish) are a large group of Cichlids that live among large piles of rocks along the shoreline. They are usually seen in large groups, but are by no means a schooling fish. In some areas of Lake Malawi, 20 fish per square meter is not uncommon. Both sexes of the more than 100 species of Mbuna are unusually colourful, whereas typically, only males have colour. They are very colourful with bright patterns of horizontal stripes or vertical bars. Mbuna are smaller and tend to have flat faces, which enables them to better scrape algae from rocks. These consist mostly of, but not limited to, the genera Pseudotropheus, Labidochromis, Melonachromis, Labeotropheus and Metriaclima. Haps, for want of a better name, are basically a non-Mbuna flock that are informally called “Haps” because many of these fish once belonged to the broad genus Haplochromis Hilgendorf. Most Haps are piscivores, unlike the vegetarian Mbuna. There are some exceptions to this generalization, however, but these do well on a piscovores diet nonetheless. Haps are aggressive, but not as aggressive as the vegetarian Mbuna. They have long, slender, almost torpedo-like bodies, and cruise the open water. Most of these fish are silver or grey when small and the males become very brightly coloured as they mature. Females typically remain without colour. Lake Malawi's pH ranges from 7.8 to 8.6, with a total hardness of 4.0-6.0 do. The reason for the variation is caused by the level of Carbon Dioxide dissolved in the water. In areas with turbulent water, where the water is better aerated, the pH is higher, while in calm bays, the level of dissolved Carbon Dioxide is higher; consequently, the pH is lower there. Surface temperature ranges from 76 to 85 degrees, while the temperature at lower levels of the lake remains at a constant 70 degrees. Carbonate hardness ranges from 6.0 to 8.0. Off the eastern shore of the Lake is Likoma Island: a little piece of Malawian territory in Mozambican waters. Its history – the setting up here of the headquarters of the University Mission to Central Africa (Livingstone’s mission) in the 1880s – caused it to be retained by Malawi when the Lake was divided politically after World War II. The island is otherwise somewhat barren although it has some pleasant beaches. Nearby is another tiny island, Chizumulu, also Malawian territory. Access to Likoma is currently by boat or charter aircraft. Nkhata Bay is better described as a large village rather than a town. It is at the most northerly point on the Lake reached by David Livingstone. Its small sheltered harbour is a focus for the Lake’s fishing industry but it is also becoming increasingly important as a tourist centre.